The clocks have gone back, the nights are darker and colder and November 5th is Bonfire Night with all its familiar smells, sounds and sights. 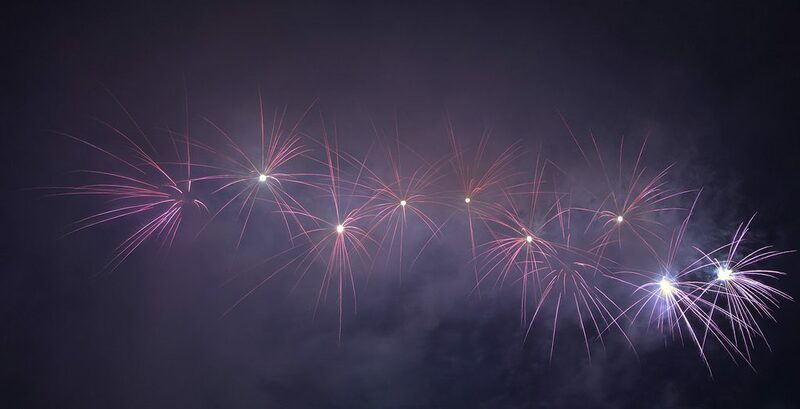 A Bonfire Night party with your own fireworks or after a public display is a great way to hold back the dark. And to eat some of that traditional Bonfire Night food! The clocks have gone back, the night comes earlier, it’s colder – and summer suddenly seems a very long time away. Bonfire Night is all about light and dark. Light holding back the inevitability of the dangerous dark. Don’t banish darkness entirely – that’s part of it. Some outdoor fairy lights, perhaps. Wind-up torches or glow-sticks for the children, maybe. Head torches leave your hands free. Some dark garden furniture would fit in for those moments when you just have to sit down, in the darkness or in the light. And (essentials not decorations) gloves, double socks or warm boots, warm coats and ear defenders for tinies. © Nigel Howe and re-used under CC BY 2.0 licence. You don’t have to have your own fireworks – public displays can be much, much better than a selection box – but if you are having your own, I have two recommendations. Ask guests to bring one firework each – that way you get some really good ones. Ooooh! Wow!! Pretty and sparkly ones keep you in good favour with the neighbours. Always have more than enough sparklers but … bear in mind how dangerous those bits of hot metal are! Remember your gloves and a bucket of water to put spent ones in. The answer is usually Yes! Yes, please! People are cold, they are tired, they are excited and they’re looking for hot, immediate and delicious food. Prepare it in advance and make it straightforward. Something well seasoned and warm to hold in your hands. Squash or apple and celeriac or baked potato soup all go down well. Chilli or beef casserole/stew. Serve it in big mugs, in pitta bread, with rice, jacket potatoes, flatbread, tacos … No doubt about it, it will warm you up. Ordinary or sweet potatoes (which can be sweet or savoury, depending on how you feel). With cheese, with chilli, with coleslaw. With honey. It’s good with pulled pork and apple sauce. For me, it’s got to be vibrant and colourful winter coleslaw. Make it with whatever you’ve got to hand – red cabbage, carrot, courgettes, apples. Hot dogs are easy food for eating round the bonfire. Lots of ketchup, mustard and dill pickle make all the difference. Parkin. © Antony Shepherd and re-used under CC BY-ND 2.0 licence. 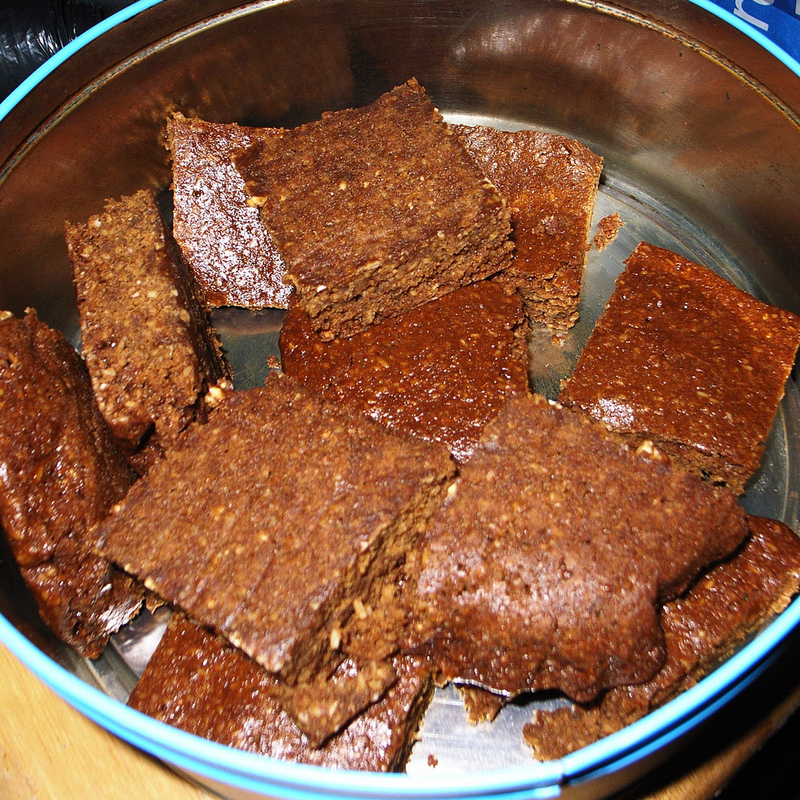 Parkin is a traditional Bonfire Night food from the North of England (Yorkshire and Lancashire argue about its origins). It’s a dark, sticky cake made with oatmeal, and it needs to be wrapped up to mature for one to two weeks to reach its sticky, delicious best. A huge blackberry and apple crumble. Warm apple juice for tinies and mulled wine or cider for grown-ups. Some people break out the sloe gin.